The Celluloid Sorceress brings her look at the career of Joel Schumacher back to the Cinema Museum with a thrilling 35mm double feature of arguably his finest films. 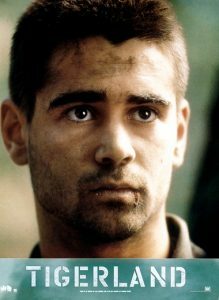 September 1971: Bozz (Colin Farrell) is the irreverent could-be leader of a training platoon soon to be sent to a war that was “already lost a long time ago”. Bozz’s rebellious behaviour rubs comrades and superiors up the wrong way in equal measure. His skilful navigation of loopholes in military law, however, earn him the loyalty of the other grunts. Fear and loathing grow high as the platoon embarks on its final exercise to Tigerland, the Stateside province of Vietnam, leading to a thrilling jungle-set climax. Colin Farrell’s second collaboration with Schumacher casts him as Stu Shepard, opportunistic New York showbiz hustler, and all-round cheat and liar. Stopping off at the last public phone booth in the city to make a duplicitous call to his on-the-side girlfriend Pam (Katie Holmes), Stu becomes the target of a sniper who imprisons him in the booth and may or may not be interested in teaching him a lesson in morality. 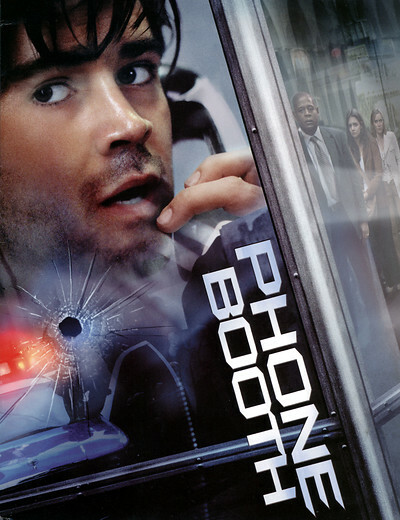 The initial November 2002 release date of Phone Booth was postponed due to events in Washington D.C. where the Beltway sniper attacks killed 10 and critically injured 3. Finally released 5 months later, it took nearly $100 million from a tiny $13 million budget. This befits a film boasting one of the best scripts by B-Movie master Larry Cohen (It’s Alive! (1974), Q: The Winged Serpent (1982)). Showcasing Schumacher’s command of camera and editing, Phone Booth also wryly capitalises on the burgeoning trend for stories where “events occur in real time”, with the unique voice of Kiefer Sutherland, star of hit TV show 24 (2001), reunited with Schumacher for the second time since blockbuster Flatliners (1990). They also worked together on A Time to Kill (1996). £9/£6.50 (concessions) for each film, or £12.50/£9.50 (concessions) for both. Season tickets £40 (£32.50 concessions) for all the Celluloid Sorceress Joel Schumacher films available from Billetto, or direct from the Museum.